Register Hardware have produced a succinct hands-on review of Android's latest (V4.0) release, AKA 'Ice Cream Sandwich' (ICS). "In terms of design, ICS is a quantum leap forward over previous incarnations of Android. Taking inspiration from iOS and WinPho 7, the UI is now replete with visually pleasing animations that give the impression that the UI is alive to your touch." 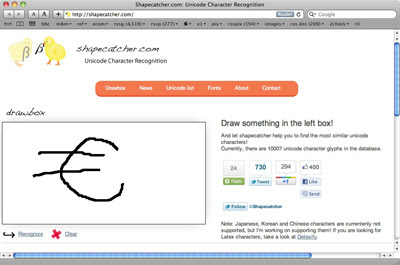 "The menu button now migrates around the screen depending on context and app. Sometimes it appears in the app menu bar at the top, sometimes at the bottom and sometimes next to the running apps window in the system bar. Call me old fashioned but I like a menu button that stays in one place. "The virtual keyboard may not look that different from the v2.3 Gingerbread implementation but it’s much easier to use and now has that same degree of uncanny accuracy the iOS keyboard is blessed with, complete with pop-up letters to tell you what you have hit." "The new photo gallery not only looks better but it works faster. Much faster. Assuming your data connection is up to snuff, your Picasa gallery thumbnails appear as fast as they do from local storage. The system’s ability to see newly added media has also been improved." "The Android web browser has also been given a good going over. It’s gained a bucket load of extra speed and, at long last, an option to render web pages in their desktop format by default. Pages can now also be saved for off-line reading directly from the browser menu." "Navigate to the camera app and you move from the Gingerbread stone age to the Ice Cream Sandwich 21st century. The new interface is much improved and comes with a built-in panorama mode that works surprisingly well. Tap the screen while shooting a video and the camera takes a still capture." "When it comes to wholly new features there are a couple of interesting additions to the Android playbook. Pride of place goes to Face Unlock which uses facial recognition to unlock the handset. Impressively, the system never failed to recognise me as the authorised user but equally was never fooled by anyone else’s fizog or even by a large picture of yours truly." 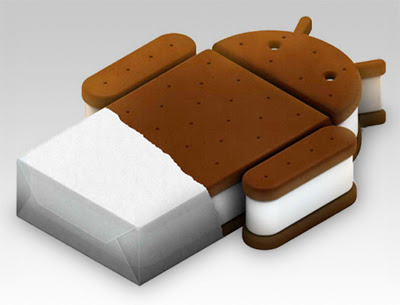 "With Ice Cream Sandwich Android moves its game on by the greatest degree yet. In terms of look and feel it’s now hard on the heels of iOS and well ahead of WinPho 7.5 and BlackBerry 7." The Register has published an excellent article on this British-designed computer. "the most remarkable thing about this low-power credit card-sized computer is its price tag: little more than £20 for a fully functional system capable of, among many things, 1080p video playback and hardware-accelerated graphics." 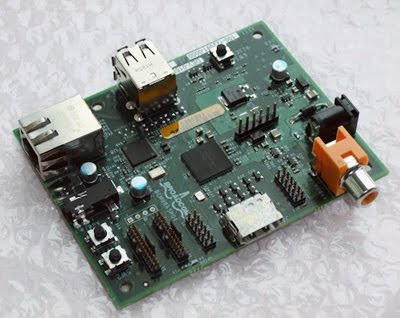 "The Pi is powered by a 700MHz ARM-compatible processor with hardware support for OpenGL ES 2.0 and Blu-ray-grade playback (1080p30 H.264), and features 256MB of RAM, TV, HDMI and audio outputs, a USB port, a Flash memory card slot, 100MBit Ethernet and a number of I/O pins for a serial port and general purpose hacking. This is all fitted on a low-cost 85.60mm x 53.98mm board that's about 20mm high, weighs 40g and is powered from a 5V supply." "The reliance on removable boot memory ensures the kit can't be bricked, not even by the most inquisitive or vindictive schoolchildren." "The RaspberryPi Model A and Model B (a reference to the BBC Micro) are expected to go on sale in December priced $25 and $35 (16 and 22 quid respectively). The Model A will have 128M of RAM and no Ethernet, whereas the Model B will be produced in larger numbers and have 256M of RAM plus 10/100MBit networking." ONCE upon a time, 3 billion years ago, there lived a single organism called LUCA [Last Universal Common Ancestor, Ed.]. 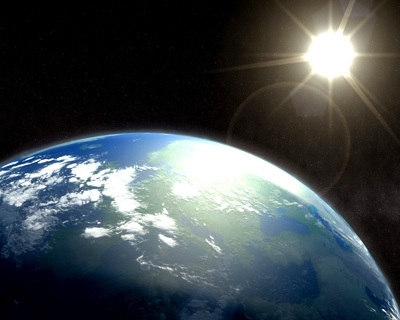 It was enormous: a mega-organism like none seen since, it filled the planet's oceans before splitting into three and giving birth to the ancestors of all living things on Earth today. This strange picture is emerging from efforts to pin down the last universal common ancestor - not the first life that emerged on Earth but the life form that gave rise to all others. The latest results suggest LUCA was the result of early life's fight to survive, attempts at which turned the ocean into a global genetic swap shop for hundreds of millions of years. Cells struggling to survive on their own exchanged useful parts with each other without competition - effectively creating a global mega-organism. 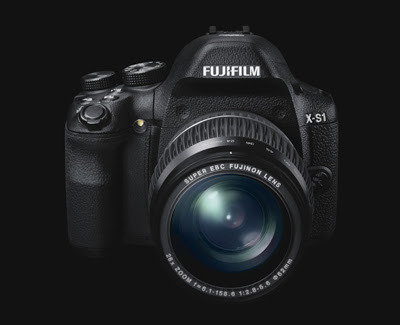 Fujifilm has announced the X-S1, a premium-grade superzoom compact. The X-S1 is part of the company's high-end 'X Series' and is built around the same 12MP 2/3" CMOS sensor as the X10 compact. Despite the comparatively large sensor, it manages to include a 26X 24-624mm equivalent F2.8-5.6 zoom lens. It also features Raw shooting, a 1.44M dot electronic viewfinder and 460,000 dot rear LCD along with a rubberized coating and metal dials to emphasize its premium 'Made in Japan' status. 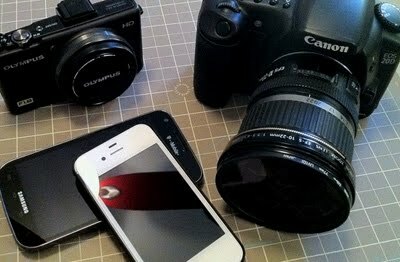 Infinite Loop have prepared a compare/contrast review of the image-taking performance of an Olympus XZ-1 point and shoot, a Canon 20D DSLR with EF-S 10-22mm lens, an iPhone 4S and a Samsung Galaxy SII. "In real life use, each camera has a mix of benefits and drawbacks. The iPhone 4 was our previous favorite in smartphone cameras, and the iPhone 4S improves on that. The lens is a bit sharper and the hybrid IR filter seems to improve color rendering and possibly white balance. The new sensor also seems to have slightly less noise, better dynamic range, and three million more pixels to work with." "The combination of an updated sensor and the dual-core A5 processor also make the iPhone 4S much faster to start up and take pictures. It was nearly as fast at launching, focusing, and snapping sequential images as the Olympus XZ-1, and certainly faster than previous compact cameras we have used." "For snapshot purposes, the iPhone 4S is comparable to the 8MP Canon 20D when it comes to image quality. But that comparison is a little unfair — you can easily achieve better results with newer DSLRs in terms of exposure, noise, and megapixel count. What you can't do with any DSLR, though, is (again) slip it into your pants pocket. Lenses that have as bright an aperture as the iPhone 4S's f/2.4 will also either be limited to a single focal length or generally be much larger and heavier than the lightweight kit lenses that many users have." "As we said at the outset, every camera choice comes with its own set of compromises and won't suit every individual photographer. Still, we have no qualms recommending the iPhone 4S as great alternative to compact, point-and-shoot cameras. It can take great photos when travelling or out with friends. Since it's also your phone, you'll always have it with you, so you may be able to grab shots in situations when you might not be able to otherwise take pictures at all." This is the revised and improved version of Novecento, an uppercase-only font family inspired on European typographic tendencies between the second half of 19th century and first half of the 20th. It looks rational and geometric. However, it is optically corrected and balanced. 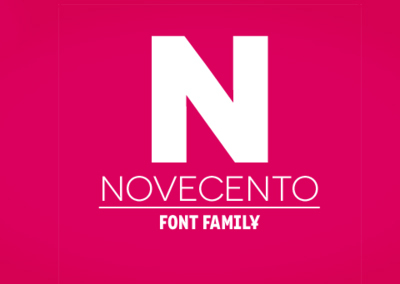 Novecento is available both in opentype format (.otf) and as a webfont (@fontface), with 6 weights available free. There's a colourful hidden surprise inside each mug, and a letter distribution table on the other side. Ceramic. Holds close to 350ml. Price: $11.95 each. 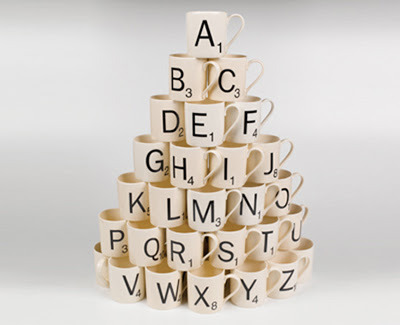 Full alphabet: $310.70. Along a stretch of Namibia's wind-blasted Atlantic coastline, one man is about to try to sail faster than any sailor has ever done before. This attempt to set a world record requires technical expertise, courage and luck. 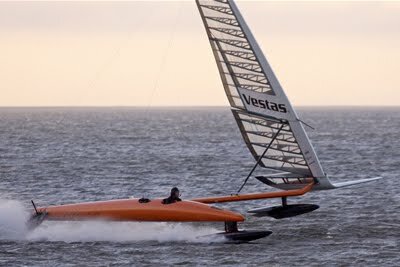 It will take place in the Vestas Sailrocket 2, which barely even looks like a boat and is, astonishingly, based on a design that is 40 years old. For the past few months, the team has been making trial runs. If their innovative design hits 60 knots (111 kilometres per hour), it will change the future of speed sailing. "Going from 50 to 60 knots is like breaking the sound barrier," says the boat's pilot Paul Larsen. But it won't be easy. In 2008, the first version of the boat flipped out of the water in a spectacular accident just as it was approaching record-breaking speeds. If you Twitter, they have a Twitter Feed. National Geographic is currently holding its annual photo contest, with the deadline for submissions coming up on November 30. For the past nine weeks, the society has been gathering and presenting galleries of submissions, encouraging readers to vote for them as well. 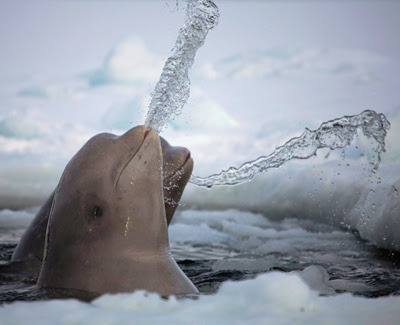 National Geographic was kind enough to let me choose among its entries from 2011 for display here on In Focus. Gathered here are 45 images from the three categories of People, Places, and Nature, with captions written by the individual photographers. This recent offering from Fujifilm is getting excellent reviews. For £500 you get a pleasingly 'retro' looking body, an optical viewfinder, a bright (f2.0-2.8) 28-112mm manual zoom lens, fast focus and decent low-light performance. Weighing in at a hefty 4.3kg the Trumstand’s curvaceous horn is crafted in brass and plated with nickel or gold powder, giving it the look of an antique gramophone. Even the base is made from a machined block of aluminium. You won’t find any woofers or tweeters in the Trumstand because just like an antique gramophone the sound is generated purely from resonance created by the trumpety shape of the horn. Yes, there is a power cord but that’s only there to charge your gizmo when it’s docked. The sonic result? Amazingly vivid aural ambrosia with a hint of old-school gramophone warmth. Somehow it seems appropriate that the government might be basing some of its hopes for the economy's recovery on a substance that is one atom thick. The substance in question – graphene – 200 times as strong as steel, seems to some designed to carry the weight of almost anything – but George Osborne's Plan A? That would indeed make it a miracle material. Nevertheless the chancellor made a detour from the Tory conference in Blackpool in September to visit Manchester University, graphene's spiritual home, and to announce a £50m investment. Graphene is claimed by some as an innovation that will prove as revolutionary as the silicon chip, or even plastics, both of which it may supersede. Sitting in his lab at the university, Konstantin Novoselov one half of the 2010 physics Nobel prize-winning team that "discovered" graphene, runs through the superlatives of his material – uniquely strong and flexible and the best conductor of electricity yet found. Graphene may be formed of unique bonds, but the synergy between research and application, between university and industry is still nowhere near as tight as it might be. I imagine, universities and corporations are throwing money at graphene research in other parts of the world? "Yes," Novoselov says, "but money is not the only thing. Before the £50m we had no more than any other lab, but we still kept at the front of this. It's more time than money." If you think that you can make a new kind of transistor and put it into your computer straight away, he suggests, then you are wrong. How to integrate this into existing technology let alone allow it to begin to shape new technology will take years if not decades. He points to the example of silicon. "The first transistor was maybe 1947, silicon appeared six or seven years later and then it was another 10 or 20 years before integrated circuits." 2D technology may take even longer to become properly commercial, but he has no doubt that it will. "The real excitement at the moment is the way we can now layer graphene with different 2D materials," he says, "with each layer having different properties." The stacking means that in theory it will be possible to design materials with the properties to meet any needs. "You tell me 'I want blue and highly conductive and bendy' and we can make it." 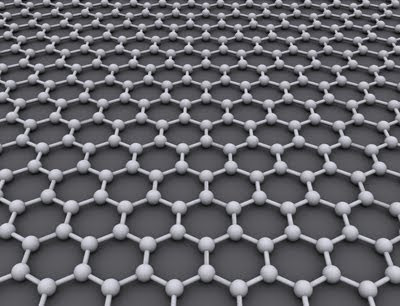 To a certain degree, he suggests, the only limits to graphene may be those of imagination. "We still tend to think of how this material might be used in the form of current objects. We can imagine, say, a 2D layered photodetective material, with a solar cell and transistor combined which would allow you to make a very thin plastic touchscreen that generated its own power." 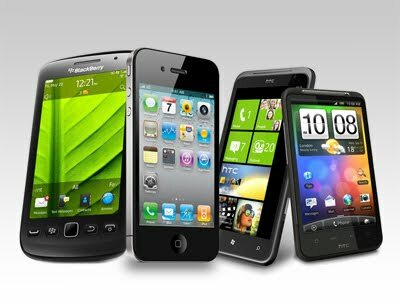 Register Hardware has published a compare/contrast review of the four dominant smartphone operating systems. None of the operating systems get it staggeringly wrong. RIM's BlackBerry is starting to look long in the tooth - sometimes I thought I'd slipped back into Windows Mobile - and, like Android, is prosaic rather than pretty. Undoubtedly, iOS is the most aesthetically pleasing phone OS. WinPho is the newest OS, so it has some catching up to do to match the others for functionality. But it's getting there. And, for the moment at least, it's pleasantly quick. Apple's excellent content shops and playback capabilities are sufficient to satisfy anyone unopposed to or disinterested in the walled garden. 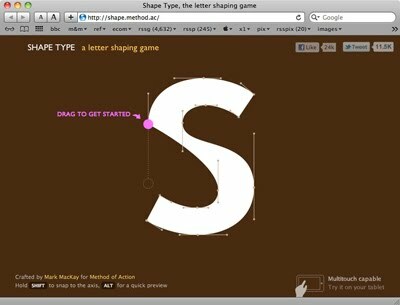 Shape Type tests how well you can restore a crippled character to its intended proportions. More difficult than you might think. 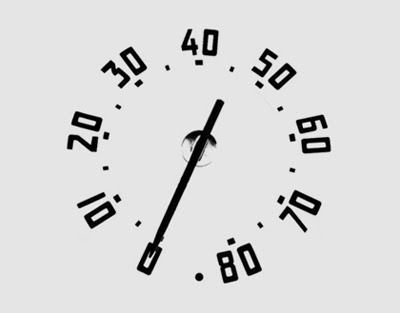 "The design of speedometers hasn’t changed much over the decades. Recently, however, there’s a trend towards digital meters. They’re probably supposed to look fresh and new, but due to the use of digital stopwatch-like typefaces they actually look extremely primitive and dated." 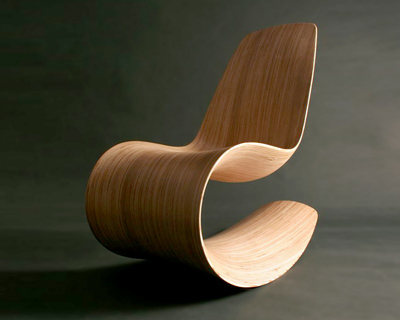 Jolyon Yates makes beautiful things with wood. This is one of my favourites. Panasonic has announced the Lumix DMC-GX1, an enthusiast-oriented Micro Four Thirds camera that bears more than a passing resemblance to the Lumix DMC-GF1. The GX1 sports a 16MP 'Live MOS' sensor, a maximum ISO sensitivity setting of 12,800, a touchscreen interface and a revamped AF system. 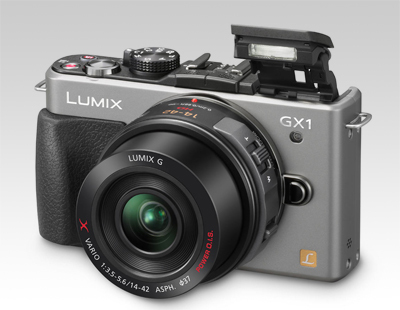 The GX1 is also the first camera compatible with Panasonic's brand new high-resolution LVF2 viewfinder, sold separately. 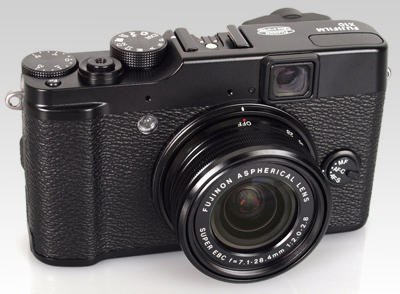 The GX1 is available in a black or silver body with MSRP starting at $699.99 without lens. For a hands-on preview and video click here. PlugBug is a 10W USB wall charger that piggybacks onto your MacBook Power Adapter, creating an all-in-one, dual charger for MacBook + iPad or iPhone. 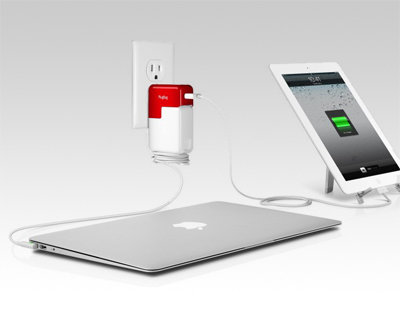 That means you can charge your MacBook + iPad or iPhone at the same time using one wall outlet. 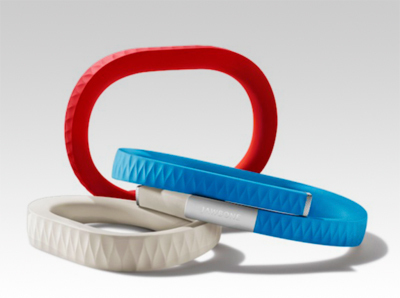 If Jawbone has its way, you’ll soon be wrapping this $99, bendable, waterproof gadget around your wrist, tracking your health with it — and hardly ever taking it off. It syncs with Jawbone’s Up app for iPhone (an Android version is in the works) via an audio jack hidden under that silver cap at the end. It also charges via the audio jack, which you’ll need to plug into a USB connector every ten days or so. What is the wristband tracking? In short: sleep and exercise. It looks for micro-movements at bedtime and can tell when you’ve fallen asleep. It will wake you with gentle vibrations in the morning instead of music or noise. It can track whether you’re in light or deep sleep, and will wake you within a certain window of time, when your sleep is at its lightest. The Up will also track your movements throughout the day. It’ll capture all the little moments of exercise you don’t think you’re getting, as well as your deliberate workouts. 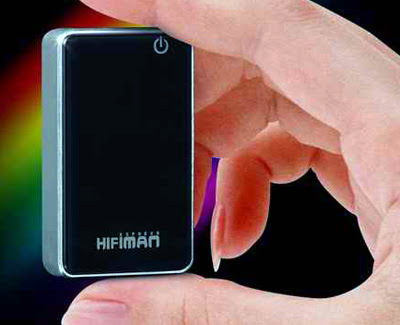 I wasn't expecting much from the Hifiman Express HM-101; it's just a $39 outboard USB digital-to-analog converter and headphone amplifier. Well, this tiny USB-powered device definitely pumped up the sound of my Audio Technica ATH-M50 headphones. Sure, the Mac's sound is perfectly acceptable - until you compare it to something better. The Express is a lot better. 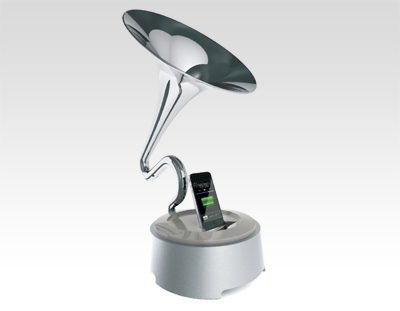 It also has a line-out 3.5mm jack you can run to a set of desktop-powered speakers. Switching over from the computer's headphone jack to the Express, the first thing I noticed was that the Express could play a lot louder. When playing drummer Ginger Baker's "Going Back Home" CD at equal volume levels from the computer and the Express, the Express unleashed more of the drummer's hard-hitting dynamics. And it's not just power; I heard a difference when I played Gillian Welch's gorgeous "The Harrow & the Harvest" CD; her vocals and banjo were clearer over the Express. The background noise level was lower, so I felt closer to Welch's performance. 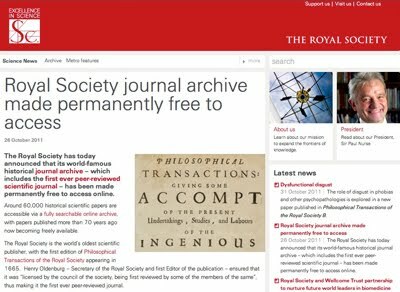 The Royal Society has announced that its world-famous historical journal archive - which includes the first ever peer-reviewed scientific journal - has been made permanently free to access online. Treasures in the archive include Isaac Newton’s first published scientific paper, geological work by a young Charles Darwin, and Benjamin Franklin’s celebrated account of his electrical kite experiment.